Sheets — MumbleBee Inc MumbleBee Inc.
One (1) lucky reader will win a 400-Thread-Count 100% Cotton Sheets four piece set of color and size of choice valued up to $54.99. Whether you’re buying deep pocket King sheets for a new home, girls bedding or boys’ bedding like cool twin-size sheets, or Queen sheets as a gift, all-natural cotton California Design Den Sheets offer quality and head-turning style at a value you can’t miss. Which color or pattern would you choose if you won? 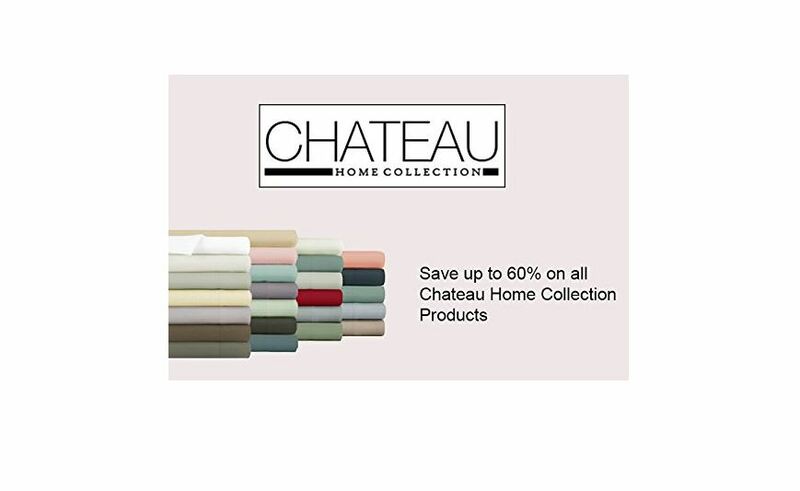 Today save 61% on Queen and King Chateau Home Collection luxury sheets. These sheets are made from fabric woven from the finest Pima cotton yarns. Pima is a premium cotton fiber – Its fineness and longer staple length is used to spin ultra-fine count yarns, which are then woven into these super soft luxury sheets. That is why you will find these sheets are very soft, fine and breathable. Once you try these 500 thread count Pima sheets – there is no going back to regular cotton sheets. Their 100% Cotton Sheet Sets are their best-sellers, may it be the Supima, Egyptian, Pima or Combed Cotton sheet sets. Their sheet sets come in various sizes ranging from Twin to California King and are available in an assortment of colors. One winner will have the choice of sheet set size and color. So which set is your style? Now, Let’s get to the Giveaway!!!! Open to residents of the United States, 18 and older. Ends at 11:59PM HST on 02/12/2016. At the conclusion of the giveaway, the winner will be randomly selected by Giveaway Tools (entries will be validated) and notified via email. The winner will have 48 hours to respond or a new winner will be chosen. This giveaway is NOT associated or endorsed by Facebook, Pinterest, YouTube,Twitter or any other social media. 1 Entrant per Household, if you have won a prize from this sponsor in the past 30 days you are not eligible to win. What color would you choose if you won a set of PeachSkinSheets?